Caring for the health of the entire family. Deborah Blenner, MD, is a general practitioner and board certified in Internal Medicine. Dr. Deborah Blenner's expertise includes primary care, internal medicine, weight management, adolescent care and the treatment of sleep disorders. Dr. Blenner specializes in the science of weight management for adults and adolescents— she is dedicated to fighting the national obesity epidemic, as well as helping patients achieve a healthier and more fulfilling life. In 2009, she presented at the Albert Einstein College of Medicine Obesity Symposium. Dr. Blenner has a special interested in adolescent medicine and believes that seeking age appropriate health care for the transitional years, from age 12 and up, is essential to accurate health management. She is a graduate of the East Carolina University pediatric-medicine residency training program. Dr. Blenner is an Associate Attending of Medicine at St. Catherine of Siena Medical Center, St Francis Hospital, Long Island Jewish Hospital and North Shore University Hospital in Manhasset. She also had the position of Assistant Clinical Professor Of Medicine at Hofstra School of Medicine. We are committed to providing comprehensive, high-quality and affordable medical treatment for the whole family. With sensitivity and compassion, we work with our patients to promote good health and wellness in a professional and caring environment. Together we can achieve optimal health and well-being for you and your family. We know the best path toward wellness involves you. We look forward to working together in providing you with expert medical treatment, guidance and care. 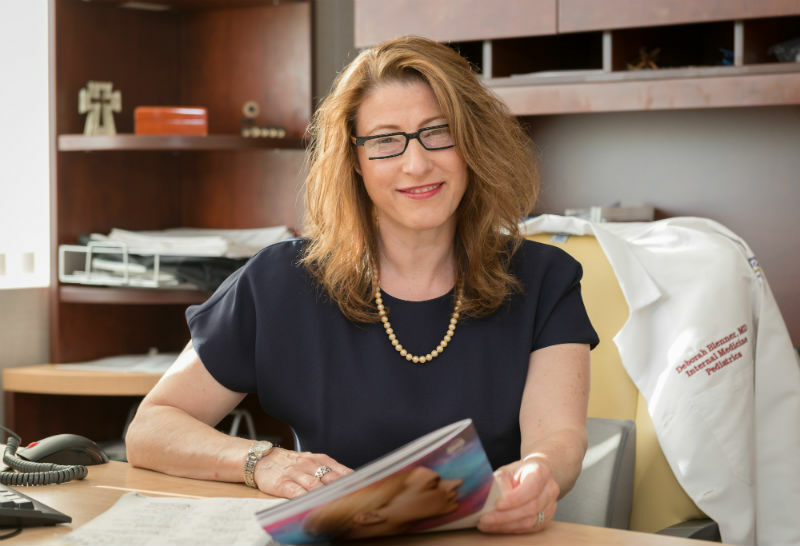 General practitioner and weight loss expert Dr. Deborah Blenner serves the cause of men's health and women's health in the greater Smithtown, NY area including Hauppauge, Nesconset and Saint James. Her specialties include whole family medicine and sleep disorder therapy. Dr. Deborah Blenner provides family medicine and general specializing in weight loss and internal medicine in and around Smithtown, New York.